Ashley Iaconetti and Jared Haibon of 'Bachelor in Paradise' engaged! NEW YORK -- There's big news in "Bachelor Nation." 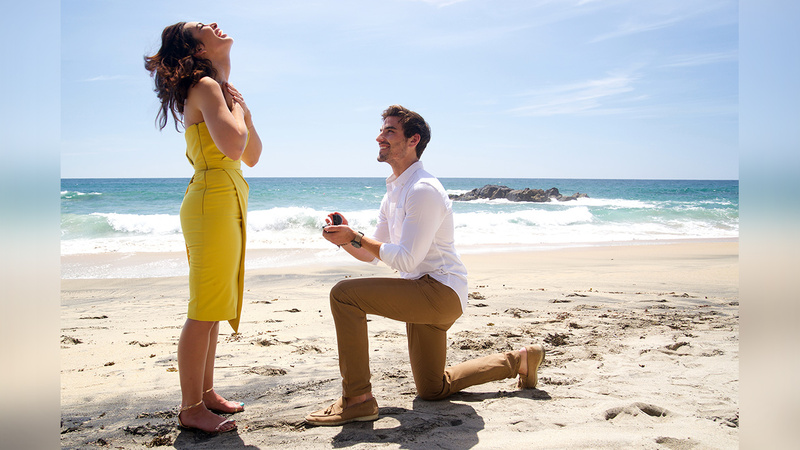 Everyone's favorite crier Ashley Iaconetti and her long sought-after love Jared Haibon are engaged! Jared popped the question on Sunday, June 17, while the couple was in Mexico for the upcoming fifth season of ABC's Bachelor in Paradise. Did you catch that? Fifth season! That means it's officially happening, although a premiere date has not yet been announced. Ashley has been trying to land Jared for approximately three years. She endured a lot of heartbreak over seasons 2 and 3 of Bachelor in Paradise, yet she never gave up. It seems that it paid off, because the pair announced that they were dating in April 2018 and here they are months later engaged! Fans will get to see the romantic proposal when Bachelor in Paradise returns this summer. Meantime, don't forget to watch The Bachelorette Mondays at 8/7 CT followed by The Proposal premiering Monday, June 18, at 10/9 CT on ABC, streaming and on demand.